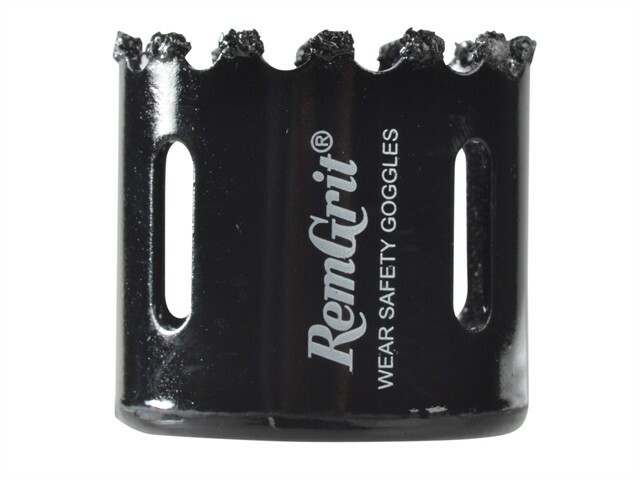 The RemGrit® Holesaw is a carbide grit edged holesaw designed to cut extremely hard or abrasive materials including ceramic tiles, laminates, MDF, marble,slate, glass fibre and virtually any material that does not form a chip. It cuts cast iron, ceramic tiles, laminates, composition board, marble, slate, glass fibre, asbestos. Totally interchangeable with all other American Pattern Holesaws.